Uncertainty is the new normal for us all. 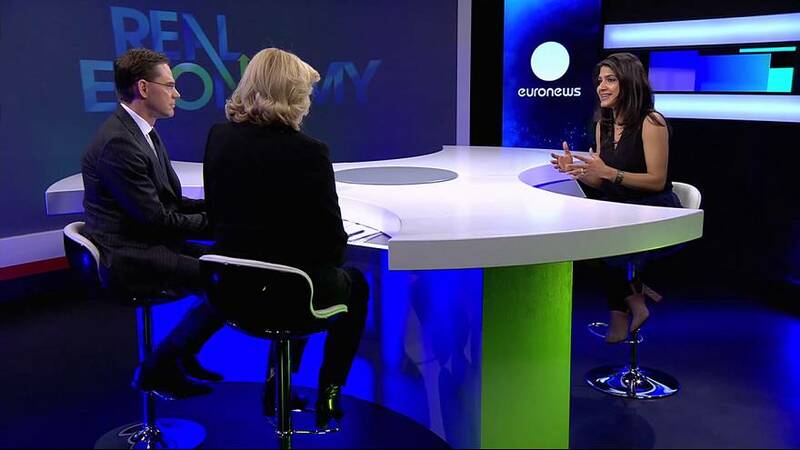 Maithreyi Seetharaman spoke with the European Commission’s vice president in charge of investments, and the commissioner of regional affairs, to talk about one way they suggest Europe can help create jobs by giving confidence to risk averse investors. The plan? To get risky projects that need money to combine grants given by the European structural and investment funds (ESI Funds) with loans from the European Fund for Strategic Investments (EFSI). The idea? That as the EU is taking on more risk, the projects it is backing are also worth the private sector’s money. Bob needs money for his project that will help his local area create jobs and growth, so he approaches the managing authority of his government. It evaluates and approves Bob’s plan if it fits the national plan for the industry, or region the country wants to grow. The government can now take a national plan with many projects like Bob’s to the European Union to tap into the European structural and investment funds (ESI Funds). They have been given 454 billion euros from the EU budget to help countries fill gaps in public investments with grants from the five different funds under the ESI Funds umbrella. The government’s managing authority and the European Union reach an agreement and manage the funding, together, on the overall national plan. The government tops up the grants from the ESI Funds and manages the money for individual projects like Bob’s. A second fund, called the European Fund for Strategic Investments (EFSI),gives loans and EU financial guarantees to individual projects, so Bob can apply directly. Because it is not a national grant or state aid, Bob and investors like him must pass strict lending criteria, but once approved, they get the money to start. The EFSI acts like a guarantor for the feasibility of Bob’s project, helping him and others who have similar risky projects, to attract more private investors. “I’m joined now by Corina Cretu, the Commissioner for Regional Policy, the woman managing the massive budget of the structural and investment funds. And, of course, Jyrki Katainen, European Commission Vice-President for Jobs, Growth, Investment and Competitiveness. “What kind of track record have we seen of structural funds and also of EFSI in actually creating jobs? “Well on that note, it’s an appropriate time to probably bring in an expert. Our first question is from research scholar Grégory Claeys at the think tank, Bruegel."